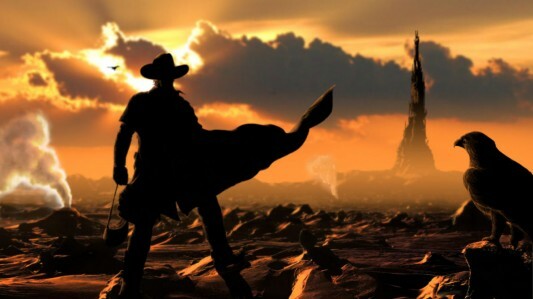 Much like the gunslinger’s from Stephen King‘s popular book series, The Dark Tower, the journey of a planned film and TV adaptation has been a long and difficult one. It’s being reported that Warner Brothers has decided not to take on the property, which is being shopped around by Imagine Entertainment’s Ron Howard and Brian Grazer, despite the fact that even Russell Crowe was interested in starring. This comes five months after word that a deal with Warner Brothers was very close. Howard is set to direct at least the first movie in what would be a mixture of multiple movies and seasons of a TV series. They first had the massive project set up at Universal Pictures with Javier Bardem possible to star in the lead, but they decided not to take on the ambitious adaptation, leaving Howard and Grazer to find a new home. No word yet on if other studios are lined up with interest in getting their hands on The Dark Tower.